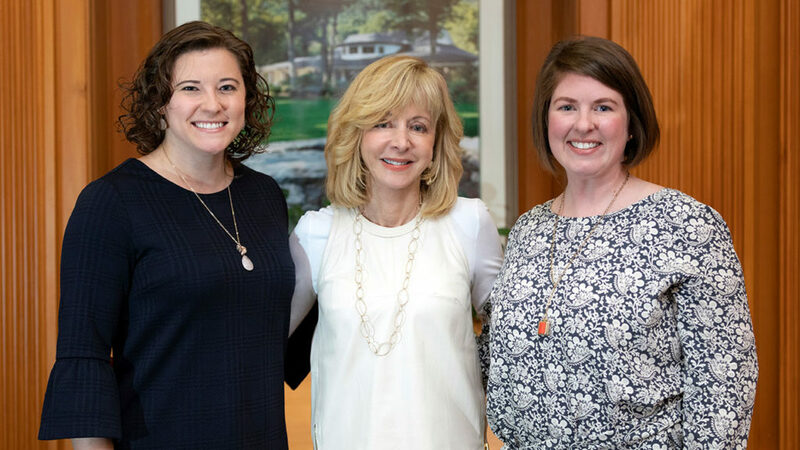 (From left) Katherine Pezzella, director of campus life for fraternity and sorority life at Quinnipiac University, Quinnipiac President Judy Olian and Megan Buda, director of student conduct at the university. Pezzella and Buda served as co-chairs of Quinnipiac’s record-setting campaign for United Way of Greater New Haven. Richard Petrosino/Quinnipiac University. Quinnipiac University has raised a school record of $65,663.73 for United Way of Greater New Haven. The total is up almost $20,000 from last year, bringing Quinnipiac’s five-year campaign to $273,356. Donors at the university who contributed to the campaign are housing the homeless, feeding the hungry, preparing children for school success and helping families get jobs through United Way’s programs and initiatives, said Jennifer Heath, president and CEO of United Way of Greater New Haven. Late last year, United Way of Greater New Haven announced that the organization had housed more than 40 families. The donations from Quinnipiac will make sure that United Way can continue this important work for local children and families, as well as serve families who are food insecure this year. Campaign co-chair Katherine Pezzella, director of campus life for fraternity and sorority life at Quinnipiac, said the money came from employee contributions as well as a gift basket raffle and food truck fundraisers.